Collingwood CC gets big grant to "break down barriers"
The Canadian Curling Association will adopt the revised rules for competition adopted by the World Curling Federation in their biennial rules committee meeting this June (see previous post). Games will be 8 ends, and the delivery zone widened. Clubs with active wheelchair curling programs or hosting national competitions will be expected to have guidelines running 18 inches either side of the centre line. These will be in addition, as reader Bruce Cameron noted, to the lines many clubs already have that run down the sheet from the edge of the 4 foot. Canadian games will, however, be at least a minute a side shorter as each team will be allowed 67 minutes rather than the WCF's mandated 68; a decision that will amuse long time followers of the relationship between the CCA and the WCF. The World Curling Federation has changed the rules of competition for WCF sponsored events, moving wheelchair curling closer to the regular game. Gone is the patronising 6-end limit, and gone too will be the incessant on -ice conferences before every shot that destroyed its appeal as a spectator sport. Games will now be 8 ends (from 6) with each team allowed 68 minutes plus one 60 second time-out. The delivery zone is also expanded by 6 inches either side of the centre line. The new delivery zone, from a rock at delivery "touching the centre line" to being "wholly within 18 inches either side of the centre line" adds approximately 6 inches of width to each side of the centre line. Its effect is to reduce the penalty, in angle reduction, of releasing near the hogline rather than the hack. Shots delivered between the hack and the near house must still be touching centre line at delivery. This change also moves wheelchair curling closer to the angles available to regular curlers, who although expected to release their stones "in reasonable proximity to the centre line," had a wider range of angles available at delivery. The CCA will adopt the WCF rule on delivery zone for the coming season but as yet have not committed to lengthening games to 8 ends. Though the CCA has different player eligibility criteria, they have otherwise typically followed the WCF's lead in rule making so as not to disadvantage Team Canada when they compete internationally. CLICK HERE for a text file extract from the WCF's Rules Of Curling, detailing rules specific to wheelchair curling. The Winnipeg Free Press reports that Manitoba's Big Three of Kerry Burtnyk, Jeff Stoughton and Vic Peters will take part in a "demonstration challenge game" against Chris Sobowicz's Provincial Champions and 2008 Canadian bronze medallists. The game will be played at 7pm on August 21st during the Monsanto Sliding In Summer Spiel in Warren, MB. No Kidding -- the Game is really very simple! I believe that many Coaches and Players (even High Performance ones) make wheelchair curling FAR too complicated. 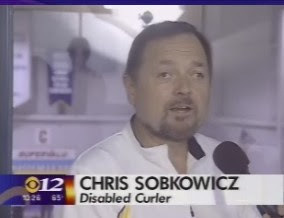 Heavens, when you really think about it, we are still only trying to do THREE simple things in wheelchair curling (and able-bodied curling for that matter). Throw it with a certain turn. Throw it with a certain amount of weight. Now is that so hard? I think that FAR too often we complicate matters unduly. Of course, I know that for all TOP teams Strategy, Goals, Mental Training and so on are vital skills to develop. However let’s not forget the BASICS. Just imagine if one of your wheelchair players was able to just do the first three things – ALMOST ALL of the time! Man what a player! What a game? What a spectator sport! But above all - What a Coach! Odd….is this the KISS principle at work?? But we DO think “able-bodied” in spite of the fact that our game is often decided by MISSED shots than strategy. So why are we so often hooked on the able-bodied game? I suggest that we stick more with the basics and then we will definitely be on the right track. At the recent 2008 World Championships, it became evident that many countries must be concentrating on the basics of shot making. I believe they are on the right track. Check out http://wwcc.curlit.com/ for the statistics of the championships. Korea had 5 out of 9 games at 60% or better. Scotland had 4, Canada had 3 and all other teams had 2 or less. Funny how the Champion Norwegian Coach talks basics in shooting and strategy yet they were low in shooting. I believe that when we are training our own competitive players (and others too), we must concentrate on the BASICS. In this regard, I have attached a few practice drills which are aimed at improving the three basics. I hope these prove of value to you and your athletes. Feel free to adapt them to your needs. Their purpose is simply to help assist anyone who is new to the coaching of wheelchair curlers. Other coaches are invited to add their items to share with others across the country. PS The suggested “Eyes Closed” drills are not a joke. Contact me for more info. I would be glad to share any ideas with anyone across the country I may even pay for the phone call. 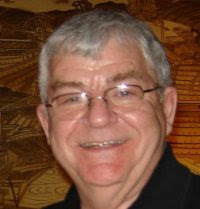 CLICK HERE for links to Ernie's drills.